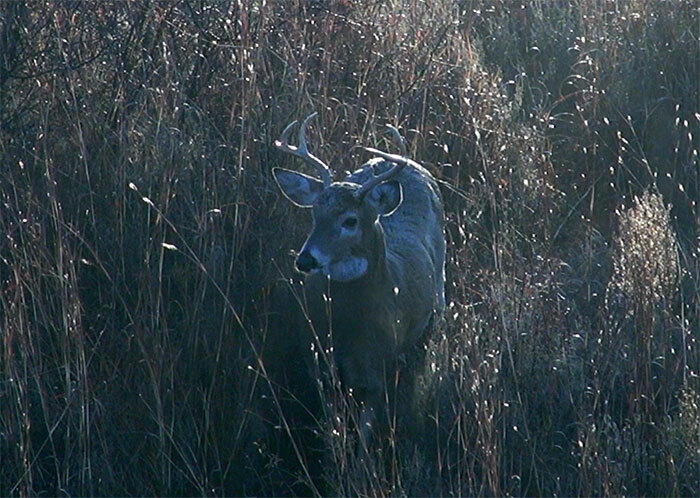 This is an outfitted hunt taking place in Southwest Kansas with Cimarron River Outfitters. 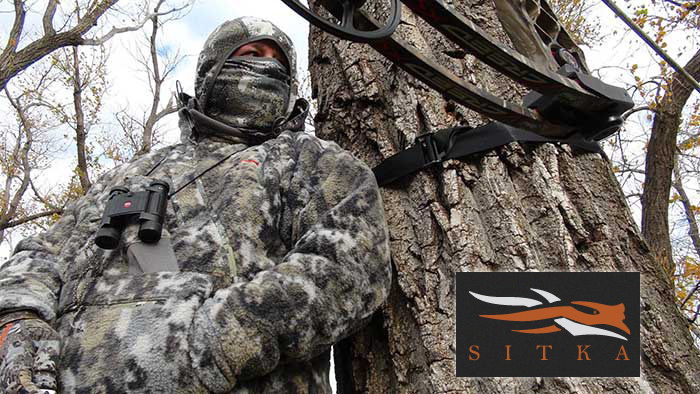 We will be hunting from both baited and non-baited stands. Due to a conflict with my work schedule I am starting my annual Kansas hunt earlier than normal. Bowsiter's Jake Ensign and Tom Edgington will join me on Friday. 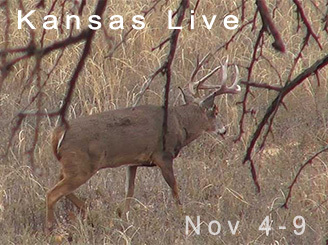 As with my other LIVE hunts we will update this feature LIVE every day, sometimes twice a day. Check back often. I am hunting the first half of this trip with Chuck and Jeff. Two regulars with CRO that hunt the week prior to my normal week. I'll be providing updates on their hunt as I get them. They told me the weather has been unseasonably warm and the deer hunting has been tough. But a front is starting to move in and temps are dropping so things should start to improve. For my first morning I hunted the Condo. 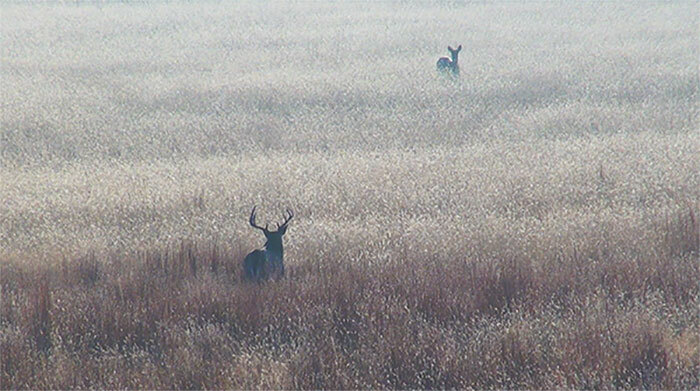 A stand located in a single tree deep in the middle of hundreds of CRP acres. It always produces and while I didn't have a shot I had a lot of fun. At firs light I saw three bucks walking (not chasing) a doe out in the pasture. That went on for at least 45 minutes. An hour later I noticed two deer. A doe, and a nice buck. 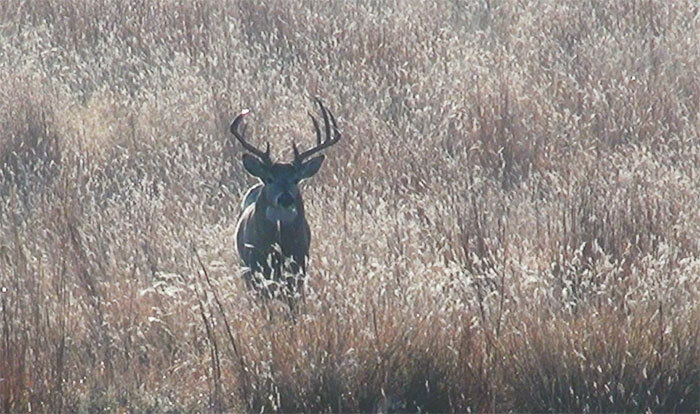 The buck looked to be walking toward me but he was not a shooter. 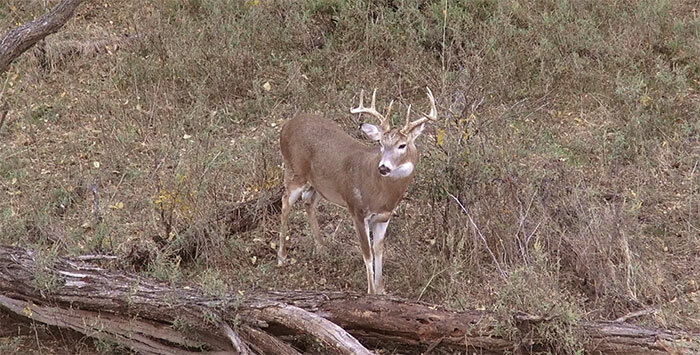 He was a decent 9 point with a weak right side. A few minutes later a smaller buck came within range but he was just a dink. Chuck and Jeff had slow mornings. For this afternoon I hunted Kent's tree belt. It was warm with gusty 30-40 MPH winds. I saw absolutely nothing, not even a bird! It was strange. Pretty slow night all around. The front hits us tonight at 11 and behind it is cooler temps. Should be good for the rest of the week.